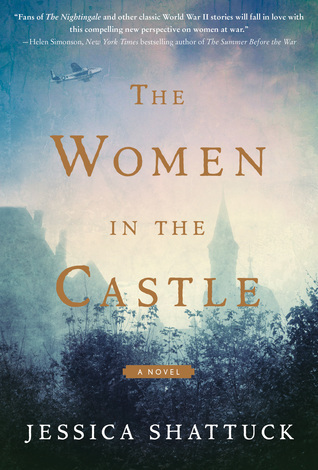 Set at the end of World War II, in a crumbling Bavarian castle that once played host to all of German high society, a powerful and propulsive story of three widows whose lives and fates become intertwined in an affecting, shocking, and ultimately redemptive novel from the author of the New York Times Notable Book The Hazards of Good Breeding. Amid the ashes of Nazi Germany s defeat, Marianne von Lingenfels returns to the once-grand castle of her husband s ancestors, an imposing stone fortress now fallen into ruin following years of war. The widow of a resister murdered in the failed July 20, 1944, plot to assassinate Adolf Hitler, Marianne plans to uphold the promise she made to her husband’s brave conspirators: to find and protect their wives, her fellow resistance widows. First Marianne rescues six-year-old Martin, the son of her dearest childhood friend, from a Nazi reeducation home. Together, they make their way across the smoldering wreckage of their homeland to Berlin, where Martin s mother, the beautiful and naive Benita, has fallen into the hands of occupying Red Army soldiers. Then she locates Ania, another resister s wife, and her two boys, now refugees languishing in one of the many camps that house the millions displaced by the war. As Marianne assembles this makeshift family from the ruins of her husband s resistance movement, she is certain their shared pain and circumstances will hold them together. But she quickly discovers that the black-and-white, highly principled world of her privileged past has become infinitely more complicated, filled with secrets and dark passions that threaten to tear them apart. Eventually, all three women must come to terms with the choices that have defined their lives before, during, and after the war each with their own unique share of challenges. I won it in a Goodreads giveaway. Talk about guilt! I was so excited when I won this book — and somehow, it seems to always fall behind the nightstand or slip off the TBR stack (metaphorically speaking), and I’ve just never gotten to it. My husband read it soon after I first received it, and he thought it was incredibly powerful. I really have no excuse, and it makes me seem horribly ungrateful not to have read a giveaway book already. The subject matter sounds fascinating, and I know (from hubby as well as others) that it’s well worth reading. Note to self: Let’s make this a priority for 2019! Thanks, Jess. I actually really do enjoy 20th century historical fiction… but I’ve read so many WWII-related books that sometimes I need to psych myself up to start another one. Thanks so much — I’m looking forward to it!